I’ve read many books and articles dealing with loss and the Christian faith. While some of these have addressed core questions, most offer glib advice and cliches. 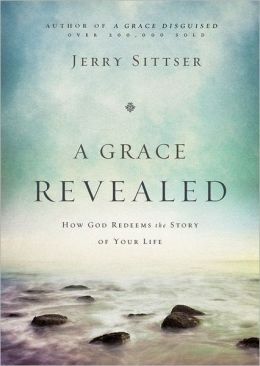 A notable exception is Jerry Sittser’s A Grace Revealed, which combines his own grief with his faith in a way that is both authentic and enlightening. 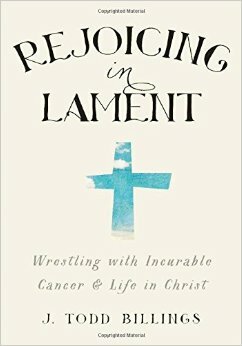 Add to the list of essential works on grief and our faith, Todd Billings’ new book, Rejoicing in Lament: Wrestling with Incurable Cancer and Life in Christ. Billings uses the Psalms as the basis for exploring his own diagnosis of multiple myeloma at the age of 39, and the result is a call to believers to embrace lament as part of their faith. Well, it says much more than that. Still, finding someone who shows how scripture gives us permission to mourn, rage, cry, and beg to our God, in the midst of the covenant relationship, is inspiring. I’m not a theologian, so I’ll leave the deep theological arguments to those better equipped for such a discussion. I approach the book as a Christian father who lost the youngest of his four children to neuroblastoma cancer. A father who watched helplessly for nearly three years as the disease killed his little boy; a father seemingly helpless to help a family move forward after losing their son. Billings has my attention early on as he addresses the question of evil in the world. So much of what we think revolves around the question, how could this happen? How could God allow my little boy to die? How could God allow a young father to develop an incurable cancer? Any explanation of this that I have seen falls dreadfully short of a satisfactory answer. Personally, I expect no answer and have to come to see my lack of understanding as my inability to comprehend God. Billings, I was thrilled to see, agrees. “…in my view the biblical ‘answer’ to the speculative problem of evil is this (drum roll, please): we don’t have an answer. It’s not that the Bible hasn’t addressed the question so that we as humans are left with a shoulder-shrugging ‘I don’t know.’ The Bible has addressed the question, and God’s response–as in the book of Job–is that humans don’t have an answer to the problem of evil, and we shouldn’t claim that we have one. It should remain an open question, one that we continue to ask in prayer and in our lives in response to the world’s suffering”(21). [Although I will not go into detail here, Billing’s exploration of Job in Chap. 2 should not be missed]. Billings sees this question laid bare at my son’s funeral. Our priest, Billings writes, repeatedly said “God has called Oliver to himself,” and “God has chosen to call Oliver at this time.” Billings response to this is honest and insightful. “Wow. A part of my heart cried, ‘Surely not!’ …The priest was confessing that God is sovereign King even in the suffering and death of Oliver. There was sting to this–implicating God in the struggle with Oliver’s cancer and his death at a young age–but also a reassurance. The sting is the theodicy question as an open question. It hurts. The death of a child is not the way things are supposed to be–why did God allow this to happen? Yet the reassurance is that Oliver did not just slip through God’s fingers. In life and death, Oliver was in God’s hands…We trust in the goodness and power of the Almighty, even though the reasons for the suffering are beyond human wisdom”(66). 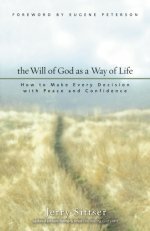 Note that Billings does not say we should joyfully accept it as “God’s will” or just say “trust in God.” Instead, he challenges us to continue to bring the question to God in prayer. We must not ignore the question, but faithfully approach God for understanding in the midst of suffering. Billings refuses to let us retreat to a fatalistic approach to life. 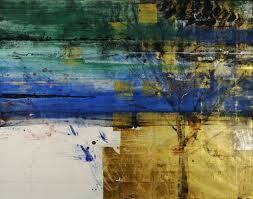 “We protest, lament, and act with compassion even when we are overwhelmed with the magnitude of the problem”(76). We are called to compassionate action in the midst of an evil world. We do this not because we can change the world, but because our faith calls for action in the midst of evil. “As our lips say ‘They kingdom come,’ we pray–and act–as revolutionaries who protest against the darkness in this ‘present evil age’ (Gal. 1:4)”(76). Of course, such prayer may not touch those in crisis. How do we respond to people who face evil, indeed horror, when tragedy strikes their family? Billings points us back to scripture. Billings says that since his diagnosis, “I’ve found that my Christians know how to rejoice about answered prayer and also how to petition God for help, but many don’t know what to do when I express sorrow and loss or talk about death”(41). This is difficult for people in general, but as Christians it shows the limits of our faith. Are we afraid to acknowledge our inability to respond to grief with anything but lament? As someone who struggled through his son’s illness and death, I didn’t want assurances of his happiness in Heaven or God’s love. It is preciously because I love and worship God that I can cry out to him, and I want others to join me in that lament. That is difficult to do, and prior to my son’s illness, I failed others in that area. This is not a pessimistic theology. Billings wants us to celebrate all that God has given us through praise and rejoicing. The Psalmists balance their laments with songs of praise. But they still lament. “A theology of the cross is not a joyless path but one with tears of joy and celebration as well as tears of lament” (177). In a wonderful passage, Billings shows how his moments of joy (his wedding, the arrival of a child) sometimes highlight times of lament. “You need to live as a mortal” (93). In doing so, we more fully recognize God’s sovereignty in all areas of our life. Billings also explores the power of prayer in the midst of tragedy. He recalls that the prayers of healing for my young son were not granted. How could God allow this? Again, this brings us back to the theodicy question, and Billings points us to Jesus’ prayer at Gethsemane. Jesus prays for the cup of suffering to be taken away. “Jesus offered up prayers and supplications, with loud cries and tears, to the one who was able to save him from death”(Heb. 5:7). God could save Jesus, and he chooses not to. God could have saved my son’s life, but he did not. God could cure Todd, but still he suffers. What does this mean? “The problem is not God’s lack of power, nor a deficiency in God’s love. The denial of Jesus’ petition does not arise from a failure to ask for another way than the cross or a lack of faith in the God of power and love. Jesus presents his heart to the Father in Gethsemane as a way to bring his will into alignment with the God of power and love who wills and works in mysterious, hidden ways: through the cross” (127). Those seeing God as a vending machine — insert the prayer and get what you paid for, are at a loss when their prayers are not answered as expected. Billings says such an approach misses the understanding of Christ crucified. “we can open our hearts before our loving Father in prayer, but as we pray, we pray on a path toward a particular end: ‘Thy will be done,’ like our Lord did in the garden”(128). This book is important for many reasons, but what strikes me most is Billings call for an understanding of lament in our Christian faith. “Lamenting with the psalmists is a practice that is counter to our consumer culture. Lament fixes our eye’s on God’s promises and brings the cries of confusion and pain–our own and those of others–before the covenant Lord” (177). What Billings has given us here is the ability to cry out to God in lament, and know that we do so with the voices of all those before us. The psalmists show a people groaning in pain, but doing so with an understanding of God’s promise. If you want to learn more about this important book, visit this blog and watch the video below. Jerry Sittser understands pain. He understands loss. He understands grief. But more importantly, he understands that our life is a story of redemption, of connection to the person of Christ. While we cannot forget, nor should we forget, our painful times in life, we need to know that the God’s story for our life is not over. This is no mere glib, theological chatter. Sittser’s family was in a car hit by a drunk driver nearly 20 years ago. In an instant, his mother, his wife, and one of his daughters, was gone. Three generations of women gone all at once, and Sittsler suddenly finds himself the single father of two daughters and a son — all young. 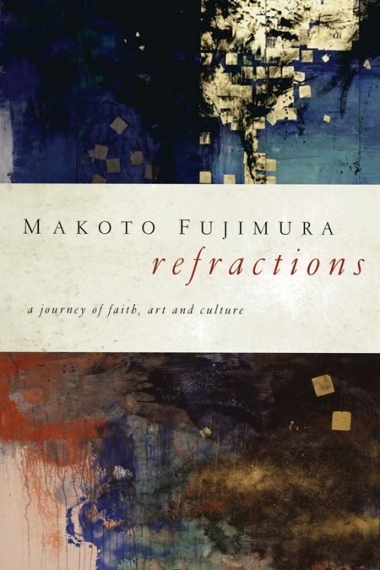 Sittser organizes the book in way which focuses on redemption as a story. 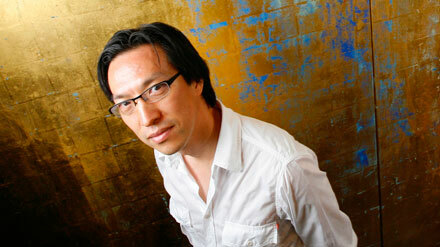 Chapters are about characters, “Scene and Setting,” “Plot,” “Author,” and other story devices. The Bible itself is explored as a story, and in six of the most amazing pages I’ve ever read, he summarizes the entire Bible by relating it as a story. Sittser focuses on scripture for what he explores, and he quotes scripture (often at length) to show the story of redemption. So many books today, including Christian books, spend more time quoting other authors than returning to the source, which makes this book so strong, theologically speaking. This is not surprising. Sittser is a professor of Theology at Whitworth College (and, I was pleased to learn, a fellow alum from Hope College). He has a unique gift for be theologically grounded, but clearly able to write for the layperson. And his unfortunate credentials in suffering create an authentic voice. On a very personal note, this was a profoundly moving book for me. Myself a father of four, I am also the parent of a six-year-old who has been battling cancer for nearly three years. There is no longer much hope that this will be cured, and we have wrestled with this reality. I have written openly and honestly about this process since the outset, and many people have said, you should write a book. Well, Sittser has written the book I would want to write, and done it far better than I could ever do. That last line challenges us to not feel sorry for ourselves, but to accept God’s grace and trust in his story. How many of us have wasted our lives, filling it with bitterness over real and imagined tragedies, instead of recognizing that God is not done writing our story. But we need to accept that gift, and accepting gifts requires humility. Some people are blessed with a natural humility, others learn it the hard way, but those who never see themselves in a larger context, who center their world around themselves instead of God — well, there is the true tragedy in life. A stepping out of the story God is writing. Sittser shares the story of a woman who, after many years of struggling, decides to meet the man who murdered her brother. And she tells him as she leaves, God wants him to know that “It is not too late to become the man that God designed you to be.” Our stories are not over. 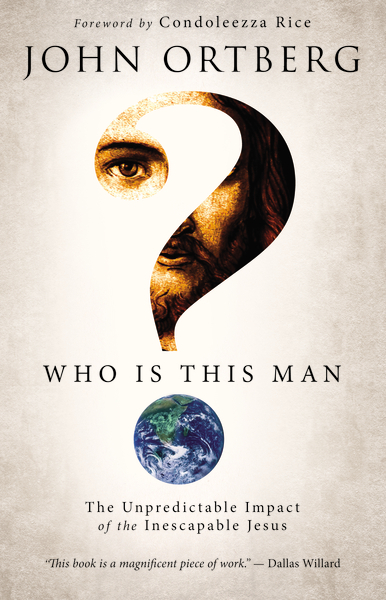 The essential premise of John Ortberg’s Who Is This Man? The Unpredictable Impact of the Inescapable Jesus, is that Christianity has had a great impact on society. Hardly earth shattering news. Somehow, Ortberg seems to think this legitimizes Jesus for the world, but, of course, it does not. A Christian will not point to the lived out faith as proof that Jesus was Christ, but instead focus on Jesus. Ortberg does show ways the influence of Christianity has spread, but he tends to focus on the all the good ways, instead of the evil. He gives passing mention to some errors, but if you want to focus on the role of Christianity in the world, you have to address the Inquisitions, Christian support for slavery, Christian countries warring, and countless examples of individual misuses of Christ’s teachings. One thinks of Gandhi’s reply to why he rejects Christ. “Oh, I don’t reject your Christ. I love your Christ. It is just that so many of you Christians are so unlike your Christ.” Which is one of the few quotes in the world which does not make it into this book. Ortberg strings quote after quote after quote together, quite often from four or five unrelated sources, on a single page. Sometimes they relate, sometimes they do not, but you want to hear more from Ortberg and less from everyone else. These are broken up by some very bad, classic “preacher” jokes which are often forced into the text. Clearly, I found this all annoying. What he does have to say of value is what you would pick up in any history of Christianity class or text. Now, let it be known that I’m in the minority here. This is book is very popular and has spawned many study groups. If it succeeds in getting people talking about their faith, there is something going right. And many may argue that I get Ortberg’s goal wrong. An arguable point, so feel free to disagree in the comments. And just when it seems that all hope is lost for the book, I do find some saving grace (pun intended) as Ortberg turns his attention at the end to the three essential days in Christianity: Good Friday, Holy Saturday, and Easter Sunday. Here we get a glimpse of what Ortberg has to share if he quits quoting others and writes his own thoughts. His reflections on each of these days are simple, but strong. Especially interesting are his thoughts on the Saturday, when no hope existed. If you are looking for devotional reading for Easter Weekend, use these three chapters. As for the rest, spend time instead with a good history of Christianity. And never confuse Christians with Christianity — we are stumbling lot seeking the perfection of Christ, but always falling short. Martin Luther King, Jr is well known for so many reasons. A civil rights leader, great orator, great Christian, great pacifist. It is no surprise to find all those elements in “A Gift of Love: Sermons from ‘Strength to Love’ and Other Preachings.” As sermons, they are rooted in the Christian faith. 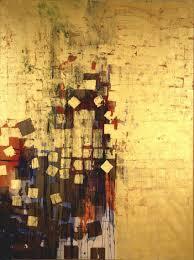 But his call for civil rights, his call for a non-violent struggle, are prominent throughout. 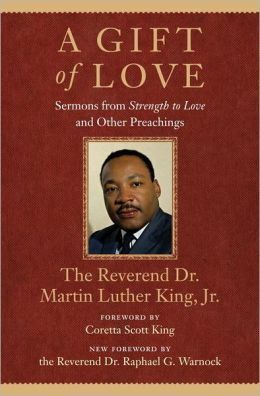 King was a preacher of the moment, responding to the needs of his congregation and beyond through the lens of his faith. And his strong oration style can be heard even in reading the sermons, as he brings home his points with a cadence which cannot be missed. The weaknesses in the sermons are more a matter of their context rather than their thinking. Some of them slip toward self-help language, but they reflect the growing awareness of psychology in one’s thinking. Some of the world political issues are now a moot point, and some of what he sought we have reached. But that our world has not reached the racial integration he sought is clear, and shameful, 50 years after some of these sermons were preached. What does come through in reading these sermons is King’s faith. He was a Christian, and he interprets what he sees through those eyes. These sermons will not allow him to become a secular hero. The civil rights movement was an expression of his Christian faith. His pacifist viewpoint, which was strengthened by the example of Gandhi, was rooted in his Christian faith. I will not attempt a break down of each sermon. I read this over a long period and was more interested in their impact on my own faith than that of a book review. His sermon, “Antidotes for Fear,” was given to me by a doctor treating my son, who has been battling cancer for over two years. He is not likely to survive another year, and King’s words spoke to my condition. What stronger testament is there to one’s power as a writer or thinker that 50 years later, they still reach people where needed.